Magic! Theater! English Education! The best show in town this weekend! So much energy, passion and talent has gone into making this one-of-a-kind production. We are so excited to premiere it for you! Tickets available via Ticket-Pia, P-Code 490432. Or from Cast & Crew. Email Shawn Mahler at NagoyaPlayers@gmail.com for group purchases. Guest Performer, Magician Mr. Joe, will kick things off with a mini-magic show and then we’ll begin our featured performance of Aesop’s Fables. Total run time is about 70~75 minutes. 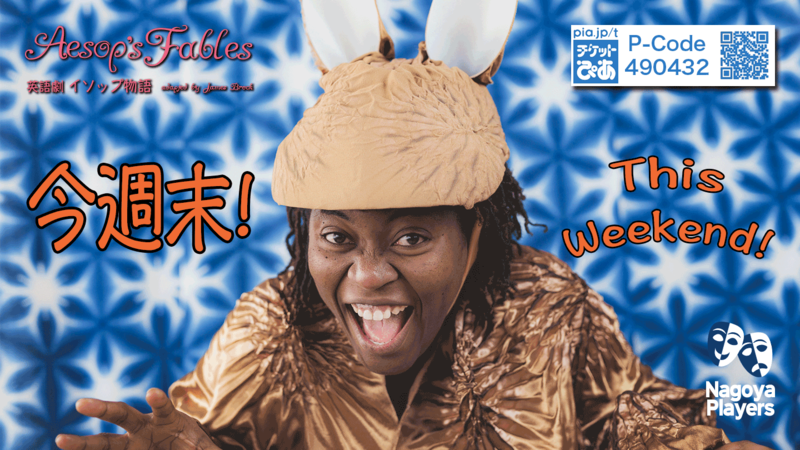 The show is perfect for families, children, English-learners and theater lovers. A lot of artistry and care has gone into crafting this show for you. Please don’t miss it.